When I was a child I was so lucky, although I was born in the city of Leeds, to return to my family home of Crummack, set high in the surrounding fells of Austwick, a small village in the Yorkshire Dales National Park. 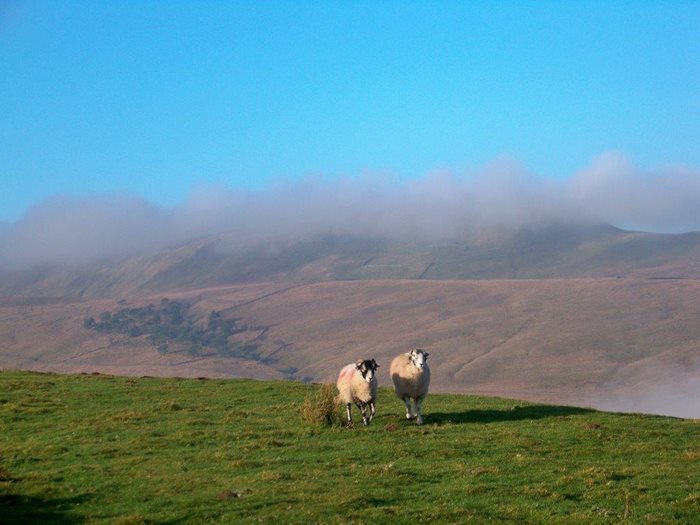 although i was raised at austwick until i was eight, my family are from dentdale originally. dentdale and the village of dent are on the yorkshire/cumbria border; until the boundary changes in 1974 they were part of the yorkshire dales. the fountain erected in the middle of dent's cobbled streets is in honour of adam sedgwick, a geologist at cambridge university and tutor of charles darwin – he is also a distant relation of mine. dropping into dentdale from the road at newby head and looking down at the beautiful dale gives me such a content feeling, i’m home again to the dale of my ancestors. although i am amazed by the lovely architecture of london and other capital cities, they can’t hold a candle to dent head viaduct and the broad valley of cowgill leading down to dent and dentdale. the dale is littered with small farms making a patchwork of the valley as the stone walls divide the fields and moorland. running down the middle is the river dee with a bedrock of limestone, which deceives all by swallowing the river underground in hot summer months, disappearing into caverns, only to suddenly emerge on the outskirts of dent town, as it is lovingly called by the locals. dent used to be famous for its knitters, every household in the valley had gatherings in their homes where people would sit and knit stockings, gloves and caps while discussing local politics and gossip. 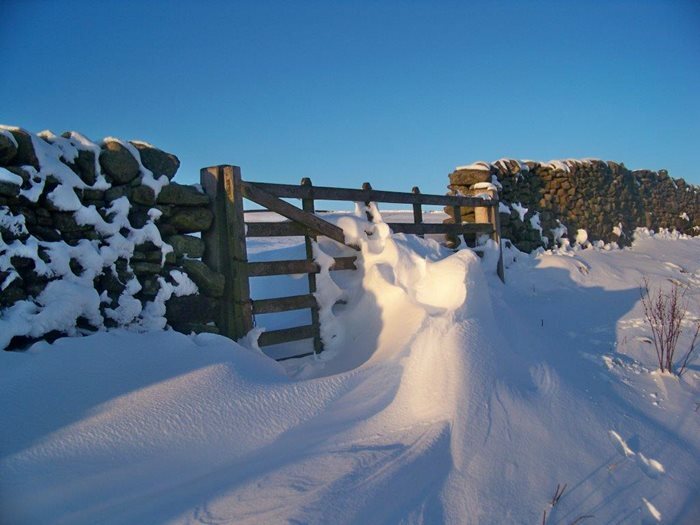 with wool being plentiful this was a welcome income to many a dales farmstead. in the 1881 census, my great-great grandmother is stated as a knitter of caps, which makes me smile because i can’t knit a stitch, i’ve no patience! a sunday treat is to visit swaledale and have lunch in the beautiful village of reeth. this dale is dotted by names of raiding vikings that sailed up the river swale and made this dale their own. the adjoining dale of arkengarthdale is a good example: 'garth' means plot of land in yorkshire/norse dialect, and this 'garth' belonged to arken. at the crossroads of swaledale and arkengarthdale stands great britain’s highest pub, the tan hill, at 1,732 feet above sea level. even on the wildest day it is usually full of visitors. 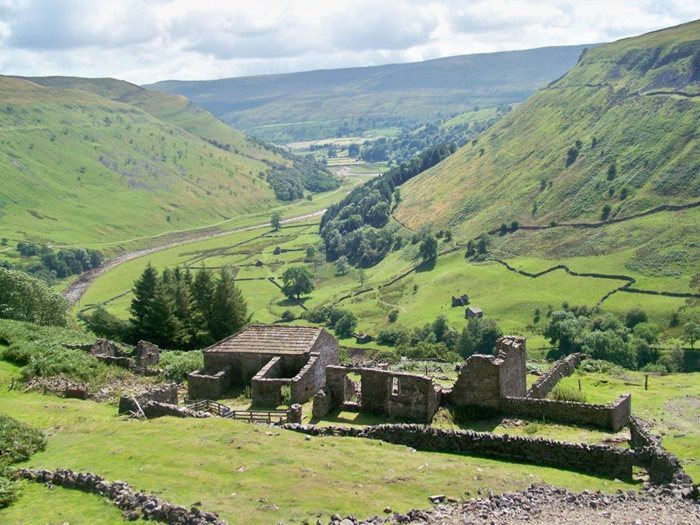 swaledale is also the home of lead mining with countless worked out mines dotted along the fell sides, left by the victorians. these are just a few of the many dales in god’s own country where my novels are set; all are beautiful and worth visiting.